Research shows that the most noticed feature in a Males personality is his hairstyle. It’s our common observation that stylish and unique haircut attracts our attention. Hairs have great impact on our personality. Hairstyle is considered as an aspect of personal grooming and style, but it is influenced by cultural and social norms. If we go back and have a look at history we see a difference in hairstyling around the world. People of Greece, Egypt, and Rome have their own styles which differ from each other. Italian were the first who started daying their hairs. In 15th and 16th centuries males from Europe shortened their hair length almost to shoulder length. In late 20th century male hairstyles changed almost dramatically, there was a huge variety of styles was introduced all over the world. People adopt these styles weather it was for long or short hairs. Celebrities are always followed around the globe especially by youth, everybody want to copy his favorite stars look. Obviously they can’t copy their features but hairstyle is one thing that can be copied. Celebrities also changes their hairstyles on regular bases, which becomes fashion around their followers. Here I’m gonna tell you about 10 celebrities, who are followed because of their hairstyles. 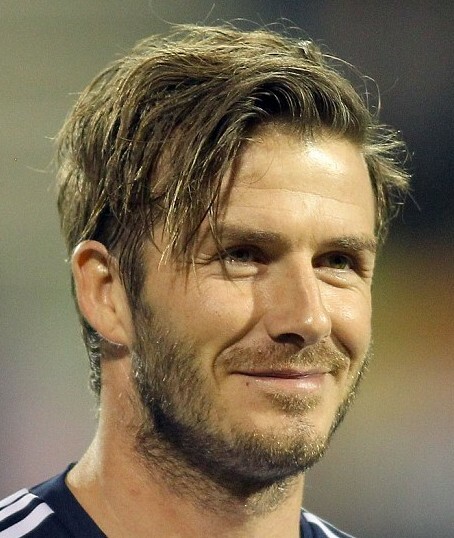 No one around the world have been followed more than Beckham because of Hairstyles. This British footballer has introduced iconic hair styles, for past 18 years. Beckham started his carrier as a football player at the age of 17. From the very first appearance on global stage he impressed every one with his game as well as his stylish hairstyles. Although he has introduced retirement from game, yet he has huge fan following around the world. Beckham is still at top of our list, because you can easily get appreciation by copying his style. 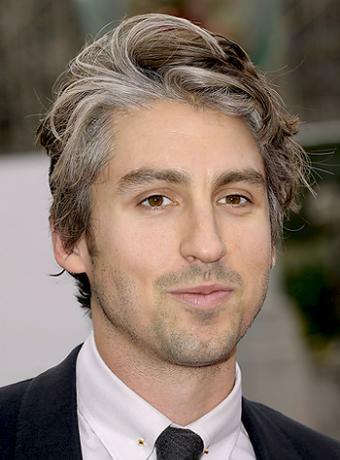 John Christopher is an American actor and director. John have won many acting awards including golden globe award for best actor. Johnny have won hearts of millions due to his unbelievable versatility in movies. 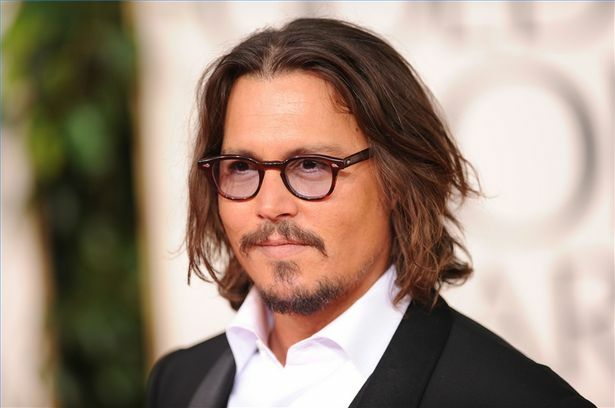 Depp’s looks especially his hairstyle makes him a teen idol around the world. 51 year old Johnny has introduced unforgettable styles, for you he is a person to look up both for long and short hairstyles. When it comes to hairstyles Canadian pop star Bieber is most followed celebrity among teen agers. Bieber got fame in his early teens, and have been followed by many since then. Yet he isn’t go to long hairs but for you who are interested in short and cool hairstyles Bieber can be the man to follow. Real Madrid and Portugal striker Cristiano Ronaldo is most talked about footballer in our times. 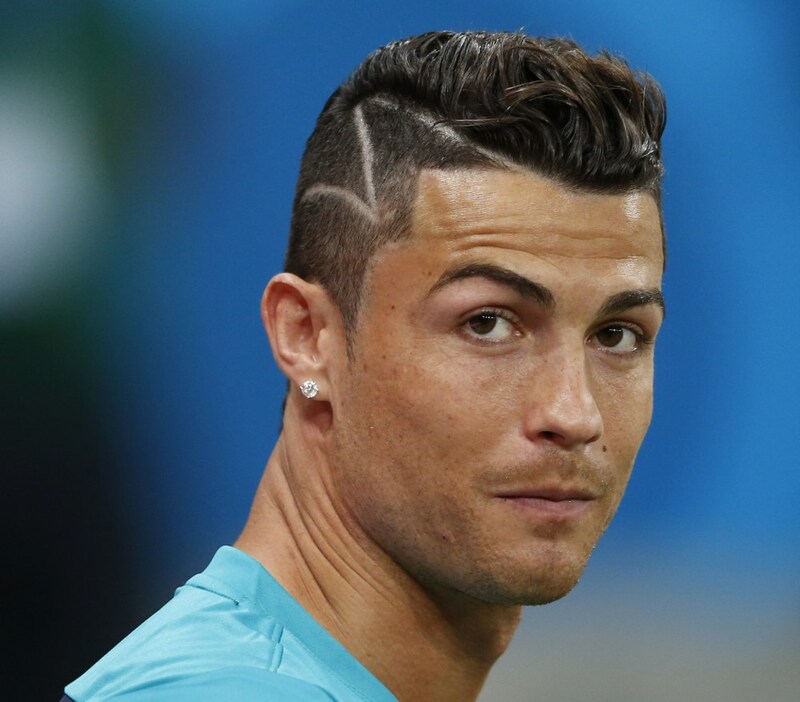 Ronaldo with his magical game has inspired all game lovers, but in our list he is at 4th spot because of his love for hairstyling. He currently is having a gelled faux hawk look, which doesn’t get disheveled even when he is playing football. So in smart hairs he is one to look up. When you hear about Decaprio, first thing comes in your mind is TITANIC. Dicarpio got fame worldwide because of his Oscar wining acting in TITANIC movie. Since than he is also a style guru, whom people love to copy. Dicaprio introduced many popular hairstyles for last 20 years. Among you who are looking for decent and mature look Dicaprio’s hairstyle is best. Brazil’s most loved footballer at present Neymar comes in this list at 6th spot. 22 year old star is also playing for his club Barcelona. Nemyar loves his life, that’s why he spends time on his looks specially hairstyles. His current hairstyle accentuates his youth with a longish fringe look with no hair on the sides. 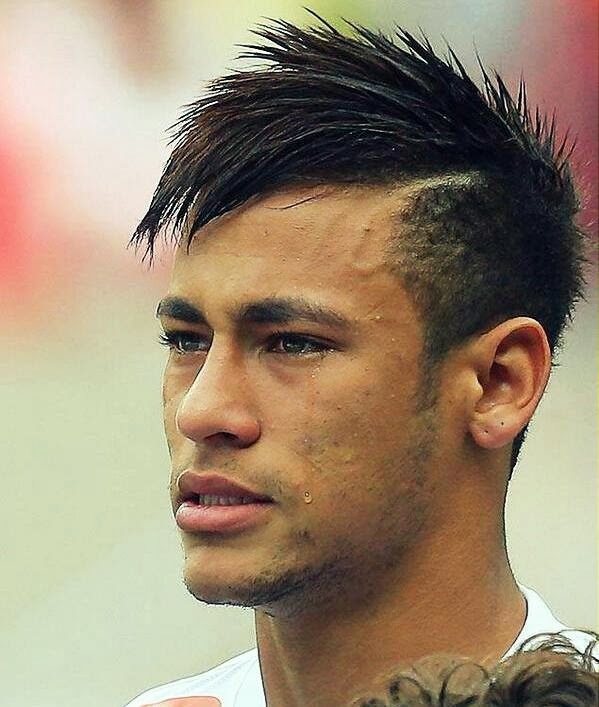 Specially in south America Neymar’s following is unbelievable. Hollywood Actor and Director Brad Pitt is enjoying successful carrier for many years. 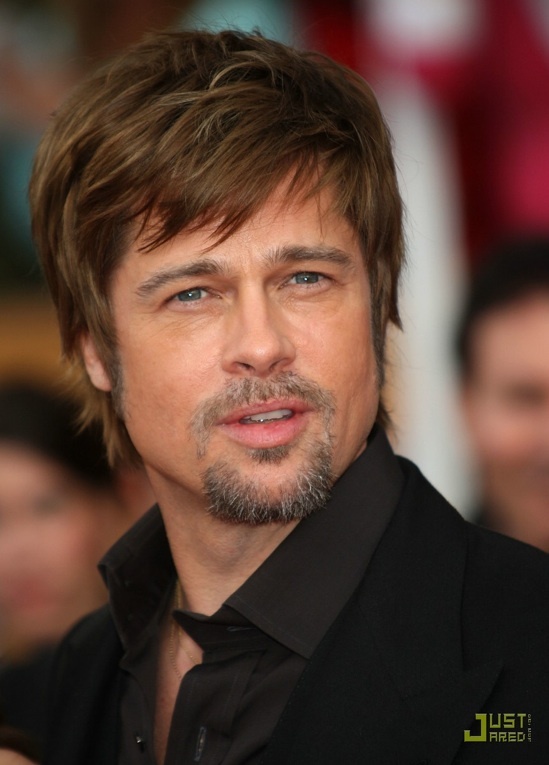 Brad has an impressive look,with attractive haircuts he impresses all his fans. Brad has done movies with both long and short hairs. I think he can be selected as ideal by you who are looking for long or short hairs. 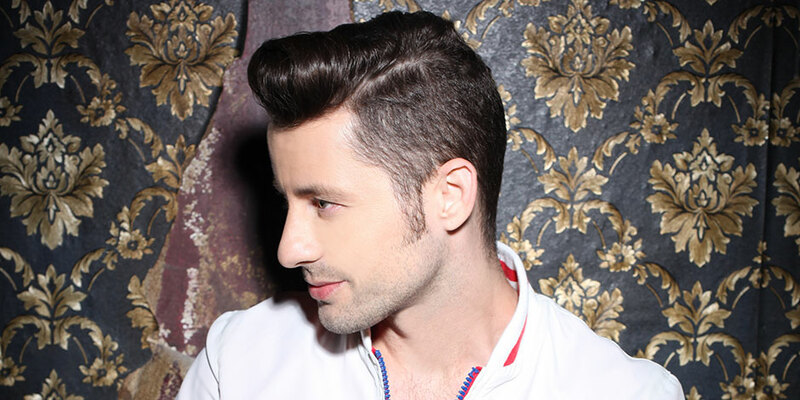 Lead vocalist of his band akcent Adrian comes at 8th spot. This Romanian singer has introduced hairstyles in short hairs which are popular around the world. Adrian currently have new look with no hairs on sides which suits him. In Europe and Asia Adrian’s hairstyles are adopted by many of his fans. For a cool look I suggest you should have a look at his haircut. 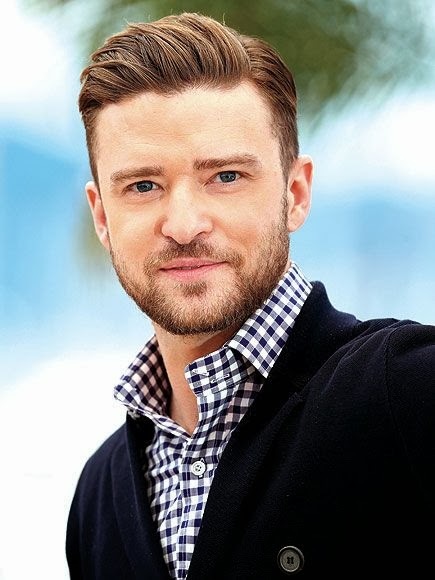 33 year old Timberlank is an Americian singer and actor. Since his appearance on tv in late 90’s Timberlank have been talked by many mainly for his stunning haircuts. For healthy faces his hairstyle is ideal, it suits best on such faces. For you who have silky thick hairs can follow his style. Those who are not known to this guy, he is a British television and Radio presenter. Because of his impressive hairstyles he is in our top 10 list. George has unique and attractive hairstyles which looks good to him. 35 year old George started his carrier as Radio presenter. For professionals as well as those who are interested in long hairstyles he can be the person to follow. Well as I have said already that hairs are most noticed feature both in male and females. A hairstyle can completely change our look, so always choose a haircut which suits your personality. It should also matches your face type weather it’s is thin and long or small and thick. Because good haircut increases your confidence and groom your look. I have tried to give you some idea which might help you in selecting your new hairstyle.